Hidden at the heart of Edinburgh’s elegant Georgian New Town our dressmakers studio is overflowing with satins, taffetas, chiffon and lace, we are here to take your imagination on a journey. This is a tale of girl meets wedding dress and falls head over heels in love. Picture your perfect wedding dress and tell us what you see in your mind’s eye. Is it high voltage Hollywood glamour or do you want minimalist chic and a classic understated simplicity? Or are you inspired by the ornate period elegance of a romantic bygone era? 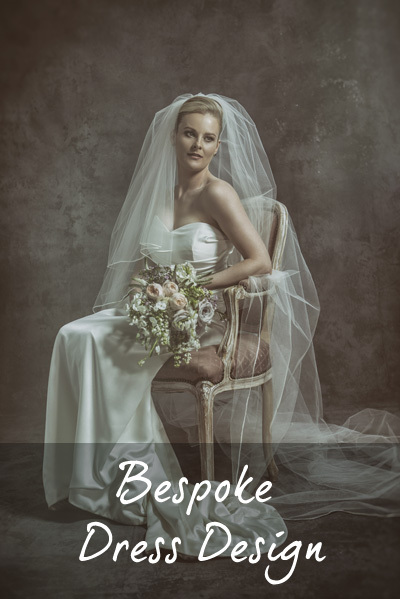 Whatever your style or inspiration our experienced dressmakers can produce the wedding dress to match your special occasion. By sharing your wishes and ideas with us we will help you to paint a picture of the wedding dress you see in your dreams. The one you will treasure forever and the one that will linger long in memories of your day. Our Edinburgh dressmaking studio is a treasure trove of fabrics and colours, textures and sounds playing to every sense. With bales of fabric piled high, swathes of the finest lace, boxes of buttons and yards and yards of ribbon for you to plunder and explore. Not only do we cater for brides, we also specialise in producing exquisite evening dresses and ladies tailored suits. 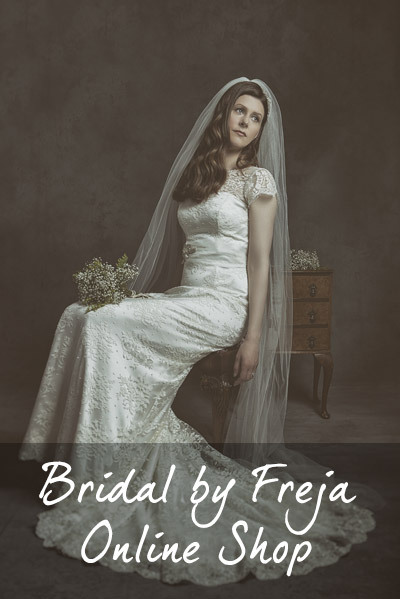 By freeing your creativity and listening to you, we will design and hand craft a bespoke wedding dress that truly expresses your personality and individuality and that right now is only a fleeting image in your thoughts. Together with our experienced seamstresses we will create a fabulous wedding dress, that we are sure will surpass all your expectations. This is a story with a very happy ending. I had so so so so many compliments on my dress and I loved wearing it. Thank you so much for doing such a perfect job on it. “Hi Mette – just a quickie. Wedding was fabulous and bride radiant! Big, big thank you for my outfit which was a huge success – it was gloriously easy to wear and got me lots of compliments. See you Wednesday, but just wanted to thank you as soon as possible for making the day so special for we girls and going the extra mile for the stoles – you are a star.